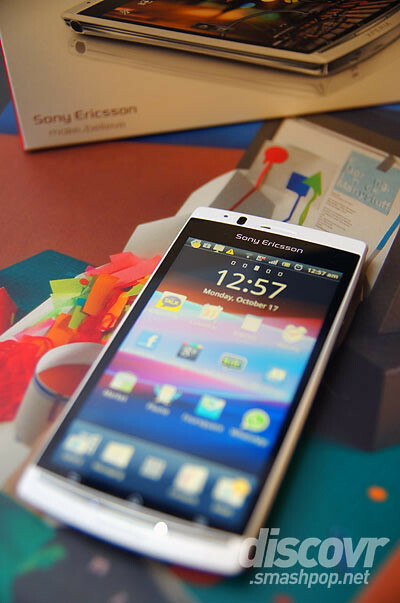 As we have recently reported, Sony Ericsson has launched the new Xperia Arc S to the market and is now available for rrp RM1899. Here’s an initial hands-on review of the device after using it for nearly a month now. More detailed reviews will be up in the coming posts. 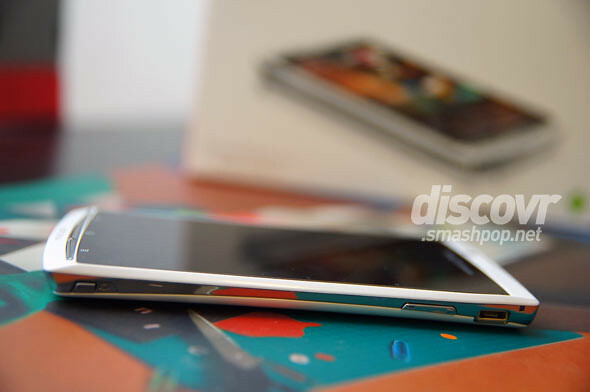 I have always been a fan and user of the Xperia Arc for it’s customised interface overlay and the curved arc body and thinness. When I first got this new Arc S I was amazed onced again as the white body now adds a classy feel to it and the overall speed has been bumped up. No doubt that the outlook and the 4.2″ screen feel and look the same but the updated version of its OS (running 2.3.4 now) feels a lot more advanced. One of it’s selling point has to be the 8.7mm thinness. Most of the people I showed it too was impressed with how thin it is. Body feels solid with minimal creaks (yes the back battery plastic plate still creaks a little on the side but not too serious and only happens once in a while). One minor letdown is that the Arc S does not come with a front camera unlike current offerings by other manufacturers. 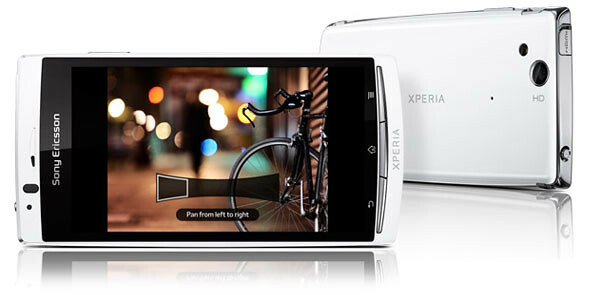 The back camera however, packs an 8megapixel beast that snaps 720p HD videos as well as 3d panoramas. Sony has managed to transfer the awesome ‘sweep panorama’ feature from it’s Cybershot and Alpha cameras to the Xperia Arc S. Works very well. The phone is only able to display 2d photos, therefore you need to plug it into a 3DTV in order to experience the full 3D panorama effect. As an Android device, it’s kind of expected how the phone works and the how interface looks. 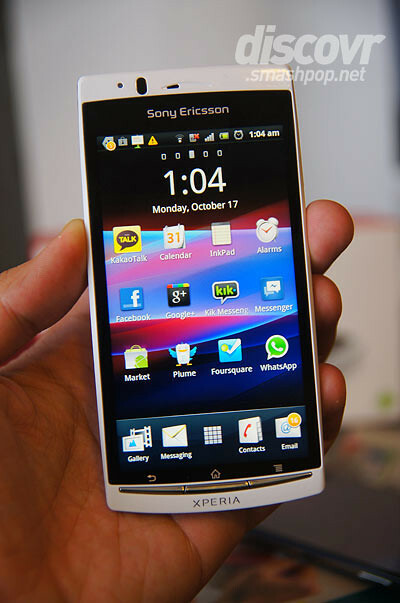 With the new ‘Facebook inside Xperia’ feature, Sony Ericsson has transformed this device into a social device. Facebook is now integrated with the phone book, photo gallery, music player and more. Check out the video below for some awesome stuff. 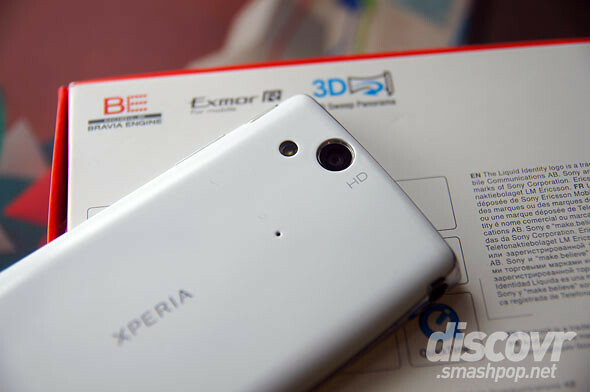 So there you go, initial hands-on review of the sony Ericsson Xperia Arc S. More detailed reviews to come soon! 3 Responses to "Hands-On Review: Sony Ericsson Xperia Arc S [video]"
WTF first device with an S but no front camera! Also +1 for how you censored the phone number LOL. with no front camera, does it mean you can’t make video calls?